Jerry F. Hall - Kain-Murphy Funeral Services-Serving Haddonfield, Cherry Hill, Haddon Heights, Haddon Township and surroundings. Kain-Murphy Funeral Services-Serving Haddonfield, Cherry Hill, Haddon Heights, Haddon Township and surroundings. 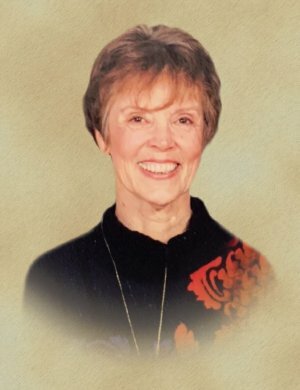 (nee Fuller) On April 7, 2019, Age 83, wife of the late James S.; Loving mother of Janet Sage (Gary) of Tallahassee, FL, Cindy Cordova of Washington Twp., Bonnie Hall of Haddon Twp., and the late Lauri Hall; Cherished grandmother of Joseph Cordova, Ryan Sage, Lindsay Hough, Adam Hall & Eric Russo; Treasured great grandmother of Makayla & Jayden Cordova, Layla Hall, Ali Murphy & Finn Hough; Dear sister-in-law of Jane Connor and Devoted aunt of Richard & Jack Connor. Jerry attended Auburn University where she met her husband and completed her teaching degree at Glassboro State Univ. (Rowan). She was diehard Auburn Fan! She began her career as a teacher at the Greater Collingswood Children’s Center, became its Director and after 40 years retired. Jerry’s family will receive Friends on Wednesday, April 10th, 10-10:45 AM, at Kain-Murphy Funeral Services, 15 West End Ave., Haddonfield; where her Service will follow at 11 AM. Interment, Locustwood Cem., Cherry Hill, NJ.